So why hesitate? All the conditions are there to have a good time in your kitchen with good tools. Being well equipped is the most important thing to be able to cook properly! 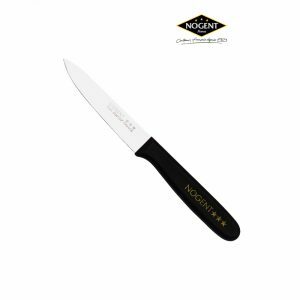 This type of paring knife is thought to optimize the moments of preparation. This knife is designed to penetrate directly into the pulpit to deteriorate the material. Cutting is an art and this knife is the perfect tool to do the most complete work! In addition, its small size makes it manageable and its color promises an outfit in the assured time. First, the blade is made of hardened stainless steel, bevel ground along its entire length. In addition, the blade is manually sharpened for excellent cutting quality. It is toothed with a tooth every millimeter. The 1-millimeter notch makes it easy to cut tomatoes without damaging the skin and all kinds of fruits or vegetables. This paring knife cuts and cuts with dexterity meats and vegetables, and it peels fruits and vegetables. The handle is polypropylene, color and guaranteed indémanchable. It is dishwasher safe. 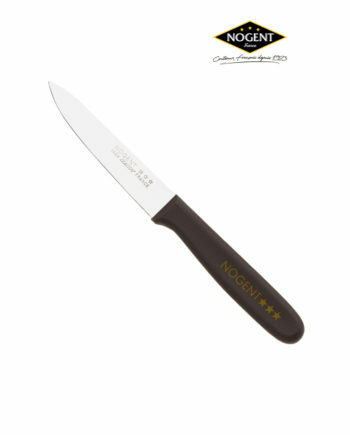 It is essential for culinary preparations, finely chop herbs, vegetables, fruits, meat … It is the versatile knife par excellence. 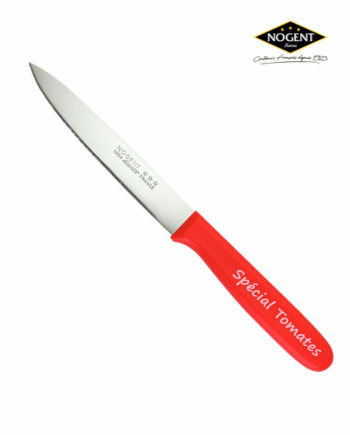 Its blade allows optimal penetration in soft-flesh foods such as tomatoes. So why hesitate? All the conditions are there to have a good time in your kitchen with good tools. Being well equipped is the most important thing to be able to cook properly! This type of paring knife is thought to optimize the moments of preparation. This knife is designed to penetrate directly into the pulpit in deteriorating matter. Cutting is an art and this knife is the perfect tool to do the most complete work! In addition, its small size makes it manageable and its color promises an outfit in the assured time. The NOGENT *** tradition reviewed for the dishwasher. A handle resistant to temperatures and aggressions generated by the dishwasher. A wide range: single and double edged peelers, paring knives, table knives, steak knives, large knives. 1) Thick blade, up to 1.8 mm, ground in bevel along its entire width. 2) Molybdenum stainless steel (AFNOR Z50CD14). Degree of hardness 57 Rockwell. 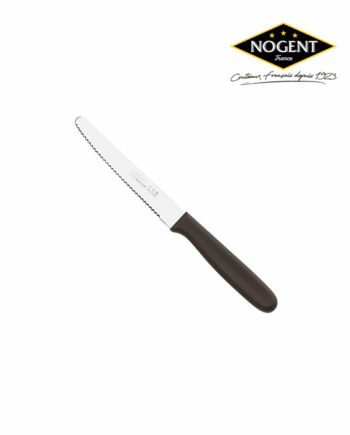 4) Blade overmolded in the handle, guaranteed indémanchable. 5) Manual finishing, poliglace blade.